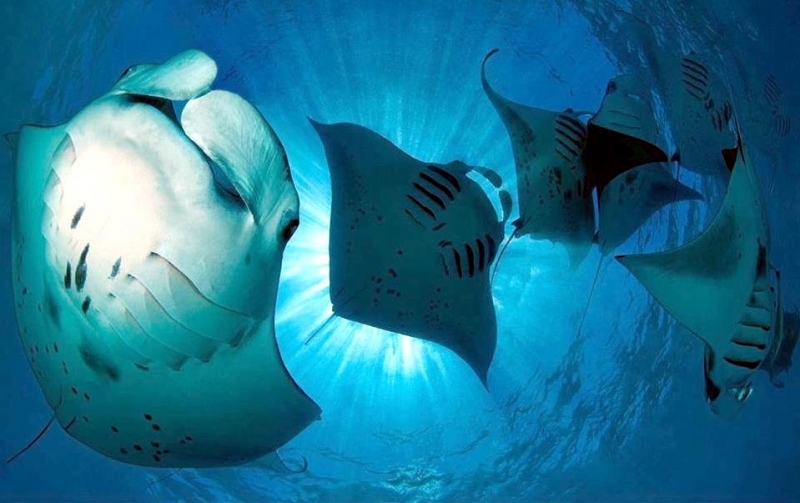 The Manta Ray is the largest species of ray in the world with some individuals reaching up to 9 meters wide. 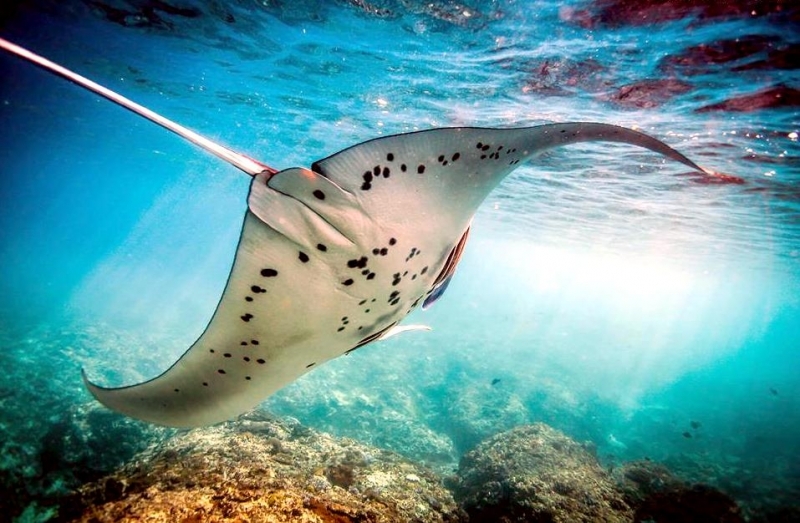 It is most commonly found in the warmer, tropical of waters of the world’s oceans typically around coral reefs and along the continental shelves. 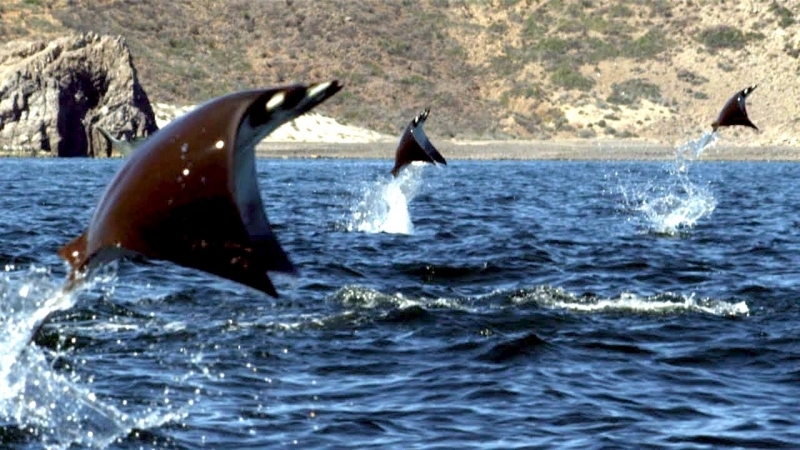 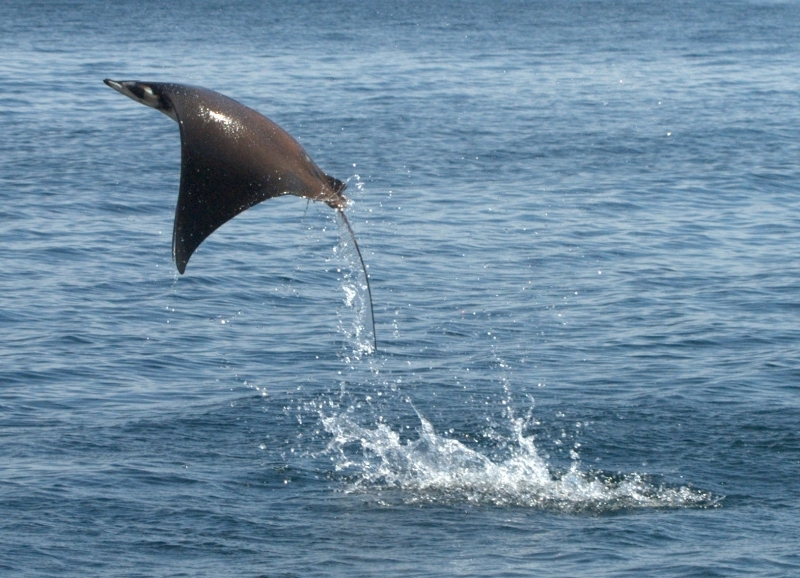 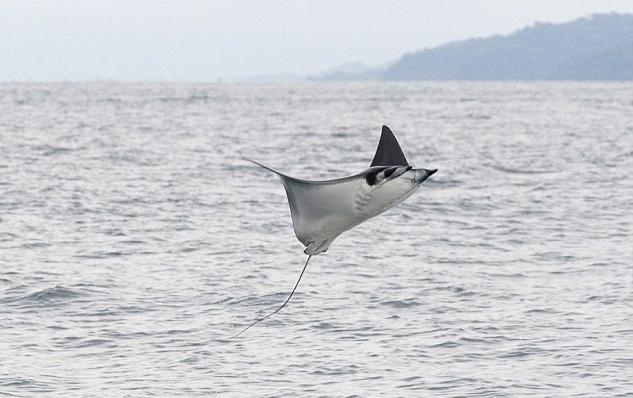 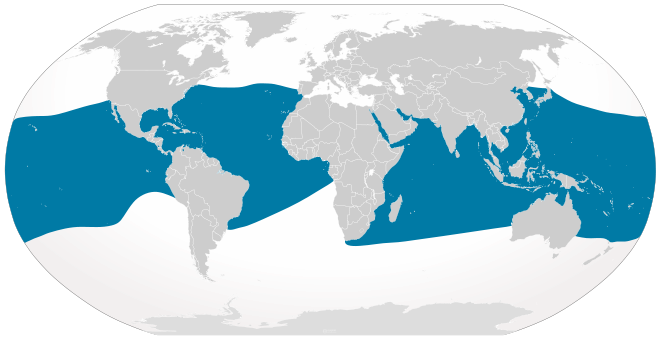 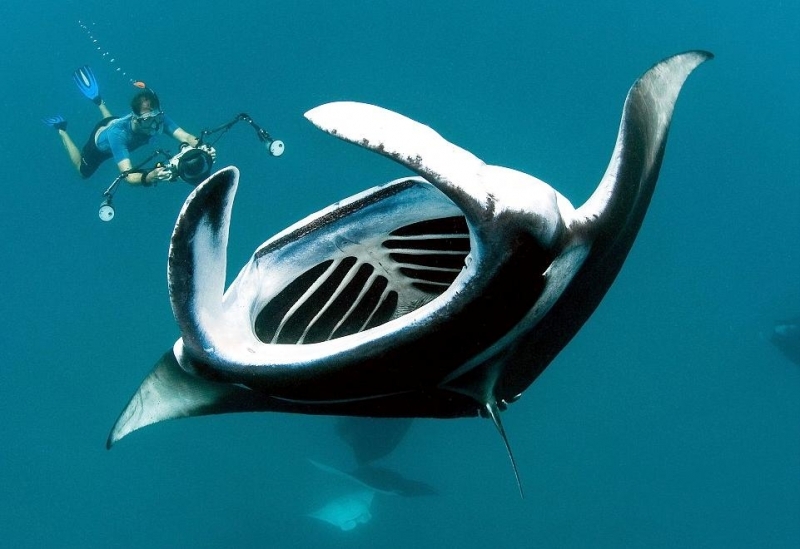 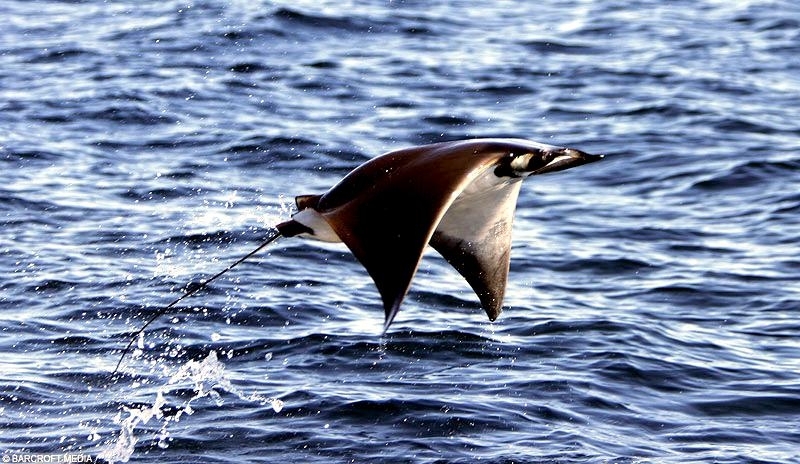 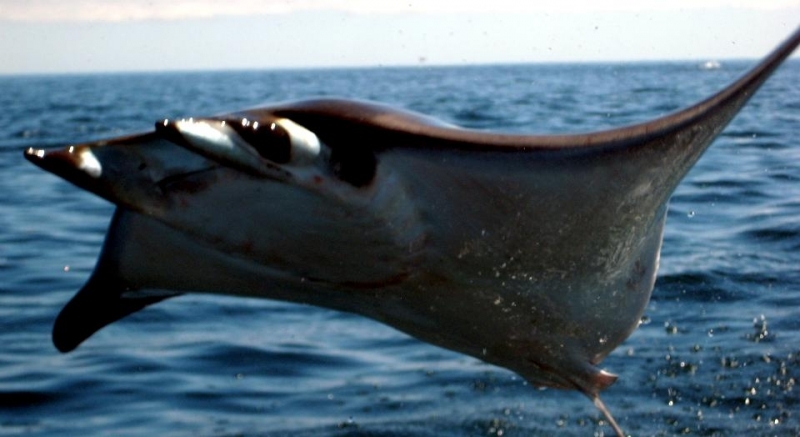 Due to their enormous size, Manta Rays are also spotted hunting out in the open ocean. 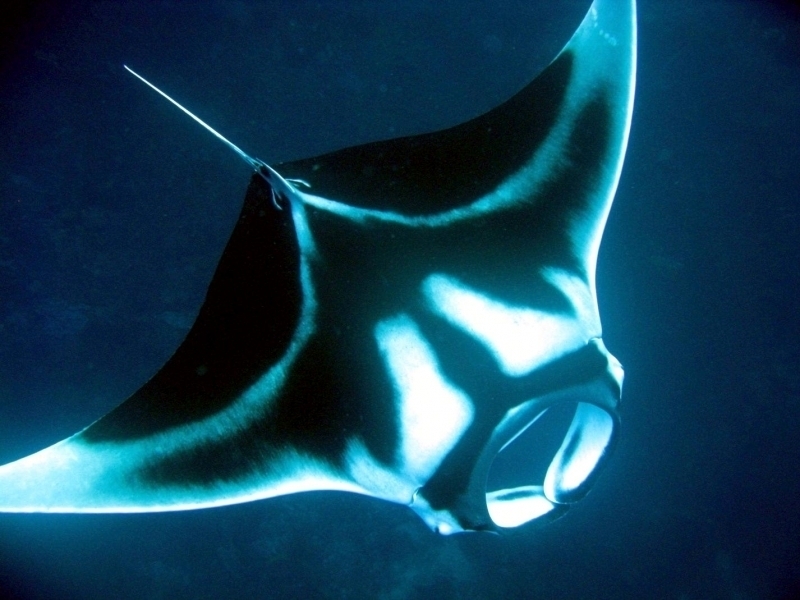 The Manta Ray is a solitary animal and is also a graceful swimmer. 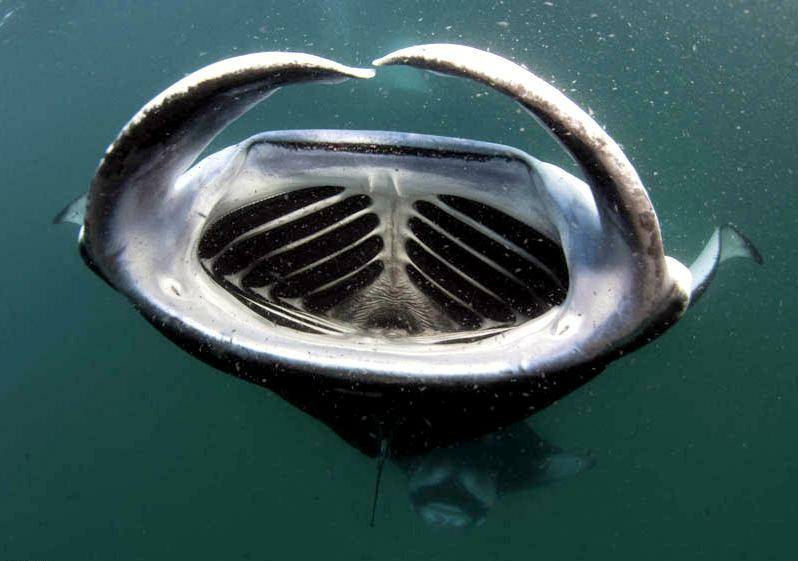 The name “Manta” is Portuguese and Spanish for mantle (cloak or blanket), a type of blanket-shaped trap traditionally used to catch rays. 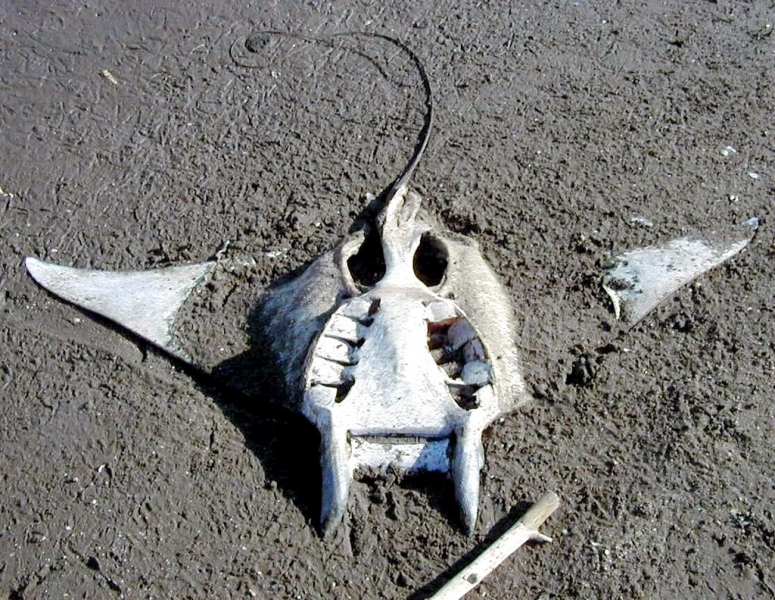 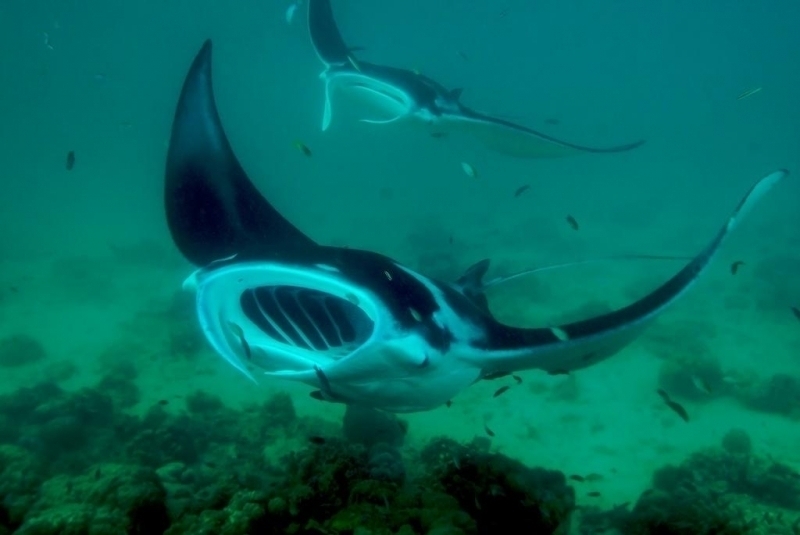 The genus name “Manta” was first published in a 1829 paper “On the fish known in Jamaica as the Sea-devil” by Dr. Edward Nathaniel Bancroft of Kingston and are also known as the “Devilfish” because of their horn-shaped cephalic fins which are imagined to give them an “evil” appearance. 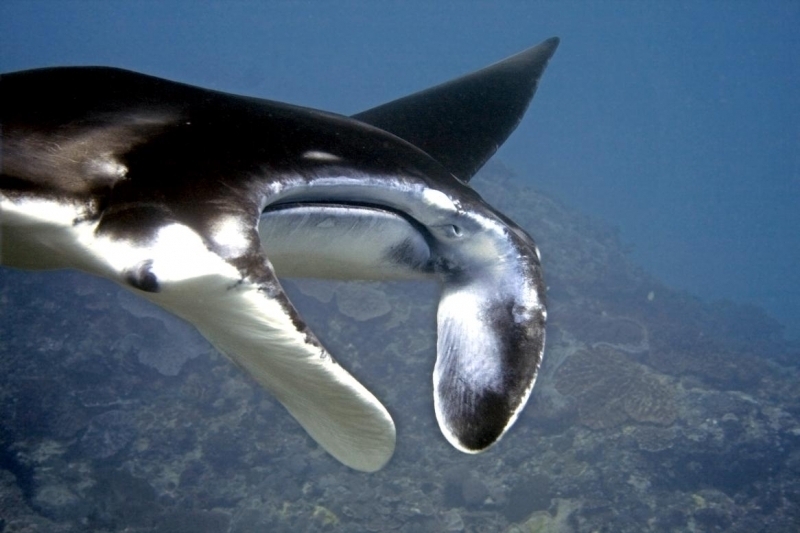 Like other large species of fish, Manta Rays swim by moving their pectoral fins up & down which propels their enormous body through the surrounding water. 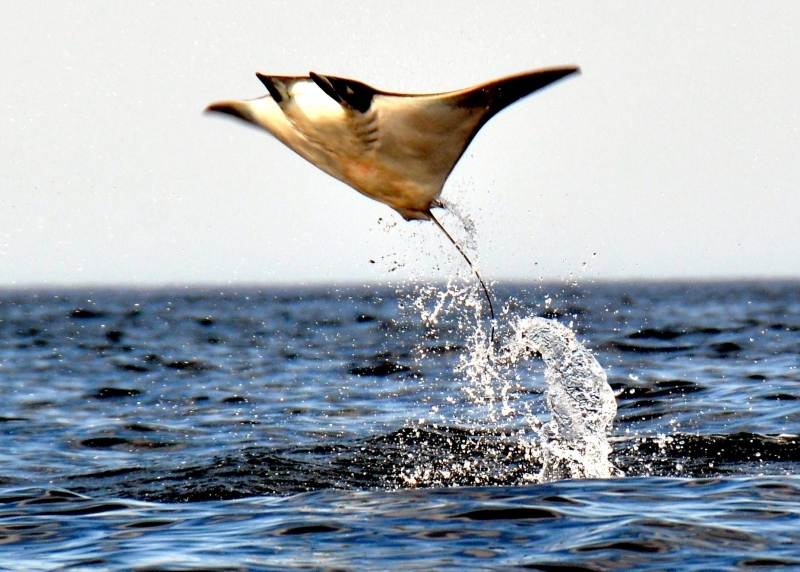 The short tail of the Manta Ray also allows it to be more acrobatic with its movement and they have even be seen leaping out of the water. 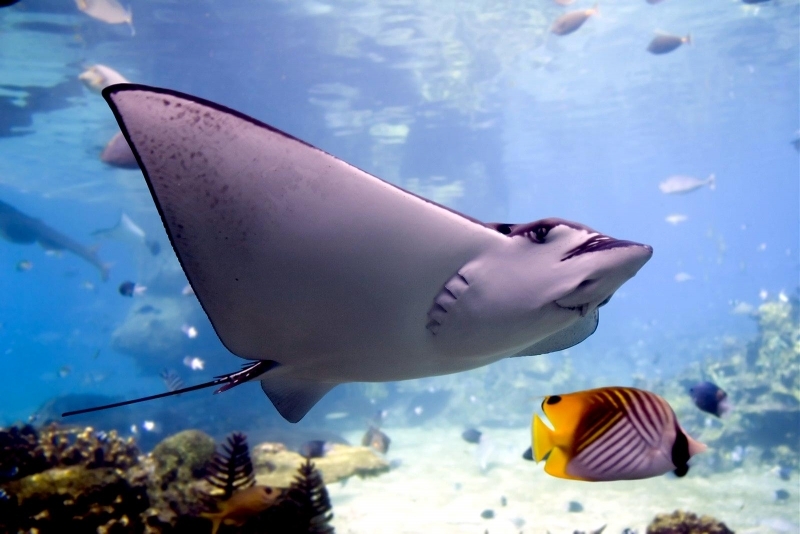 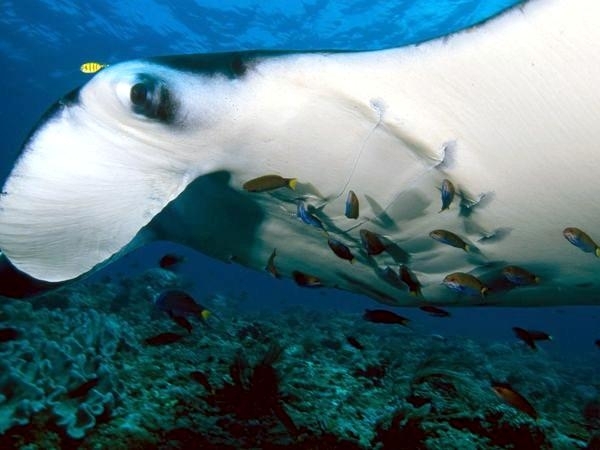 Manta Rays are known to frequently visit cleaning stations where small fish such as Wrasse and Angelfish swim in the Manta Ray’s gills and over its skin to feed, in the process cleaning it of parasites & dead tissue. 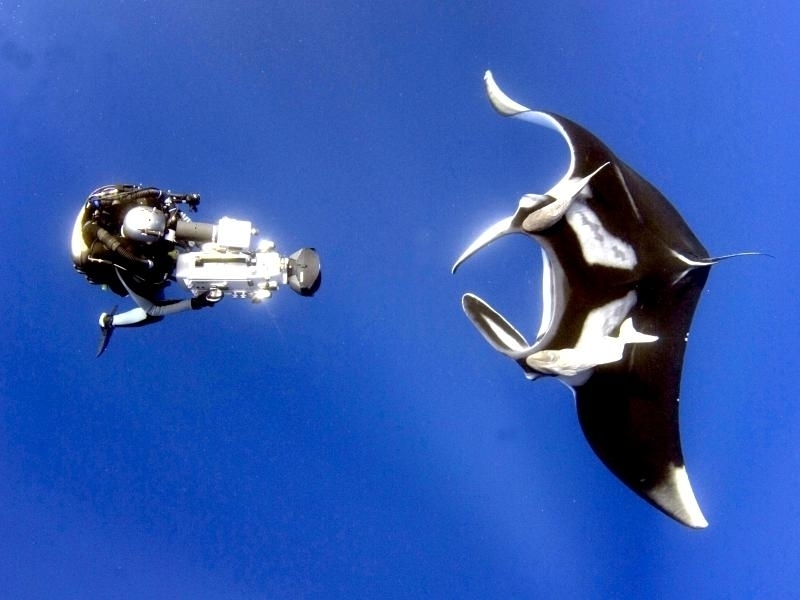 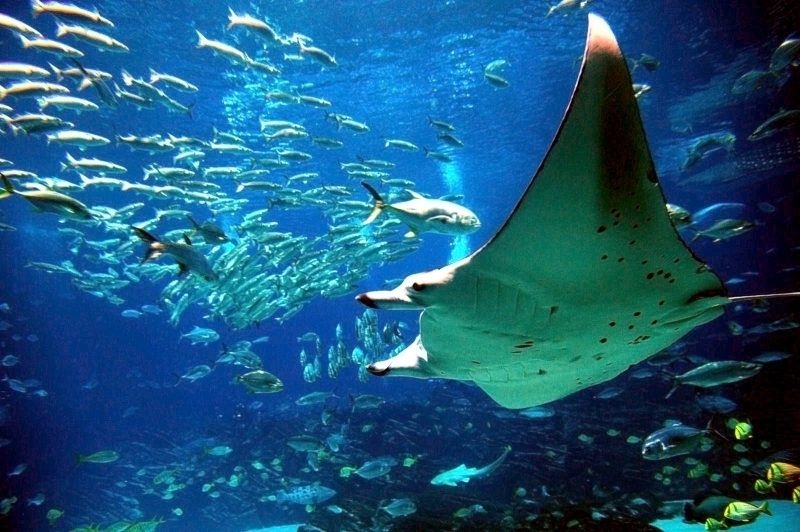 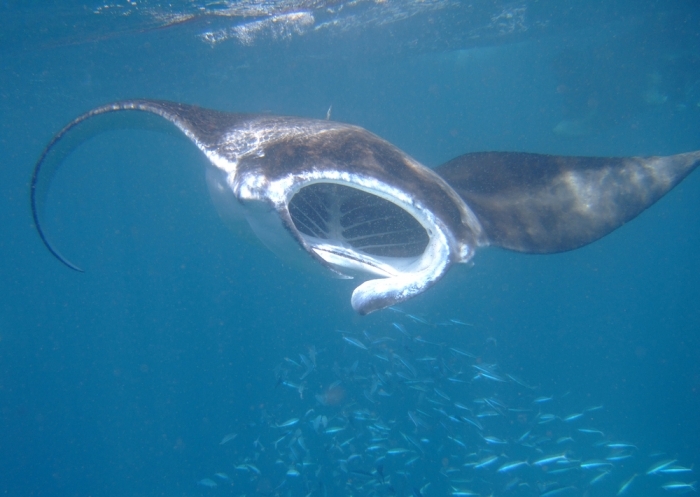 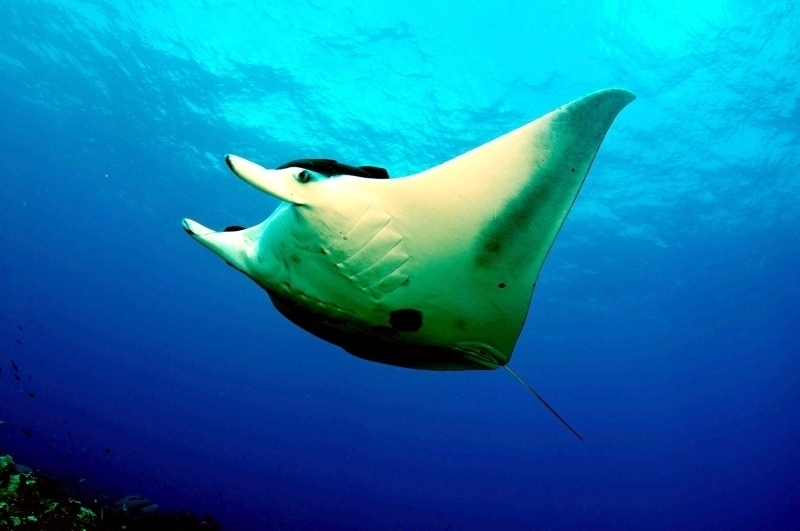 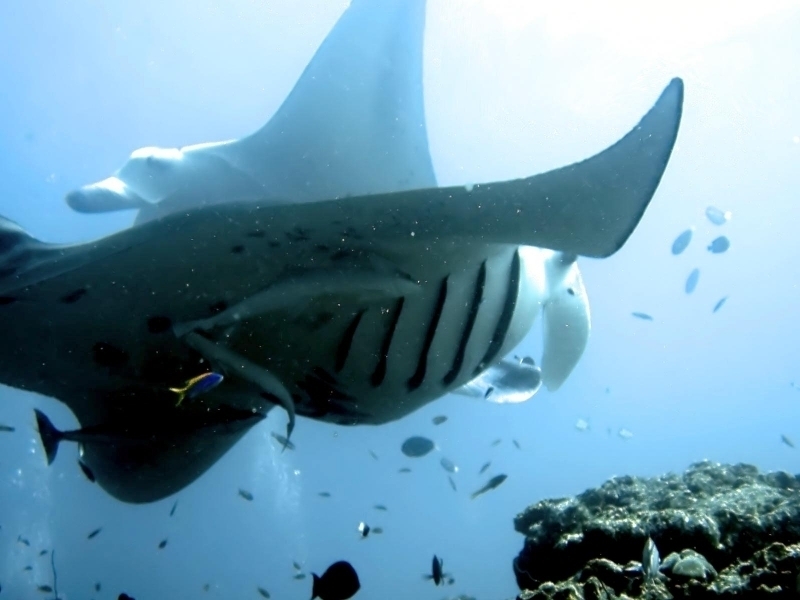 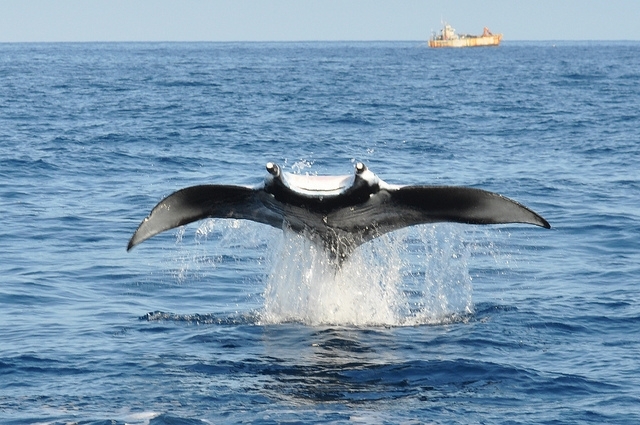 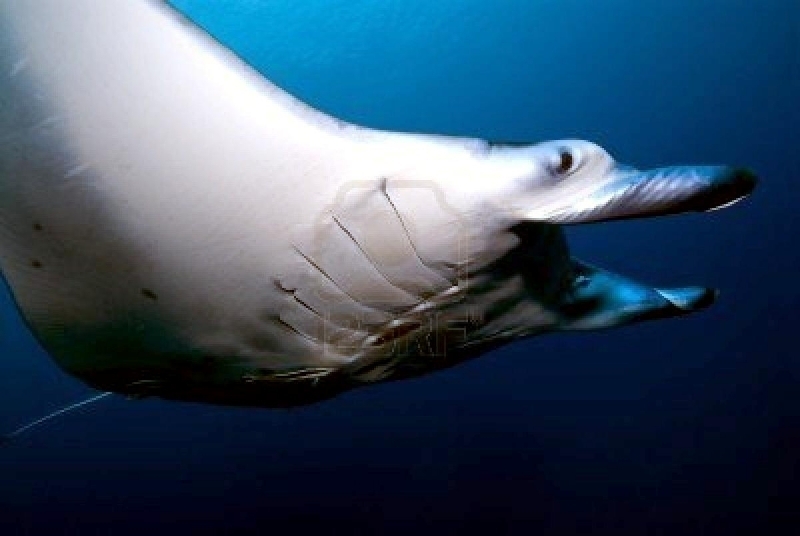 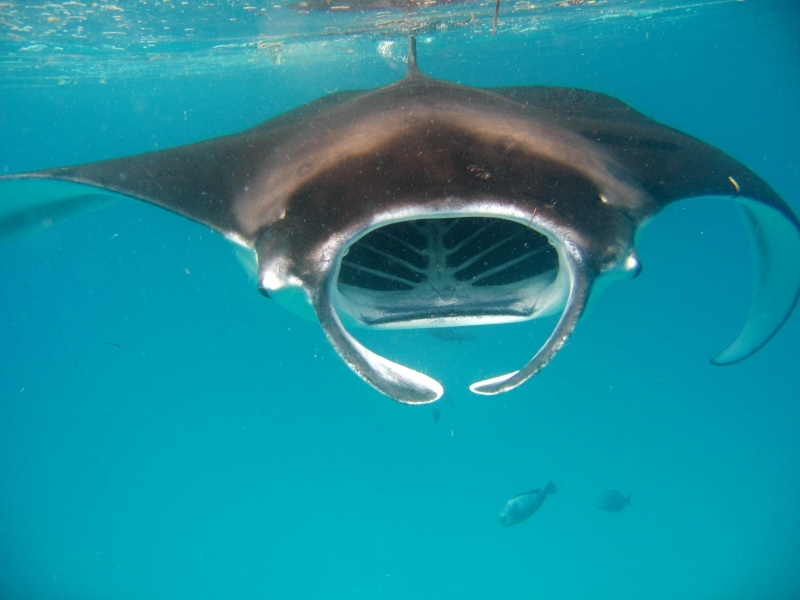 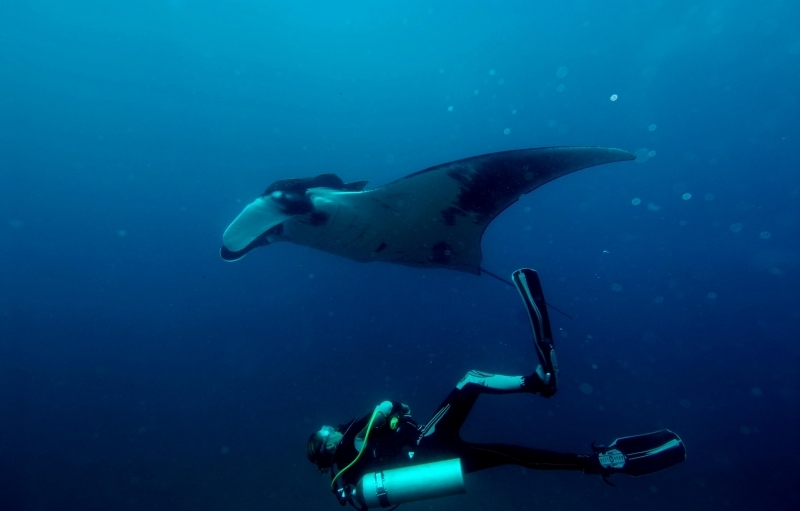 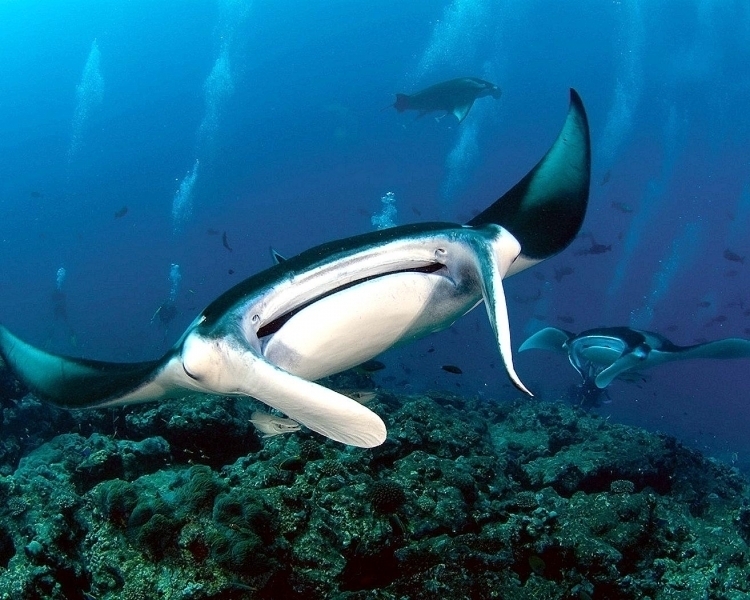 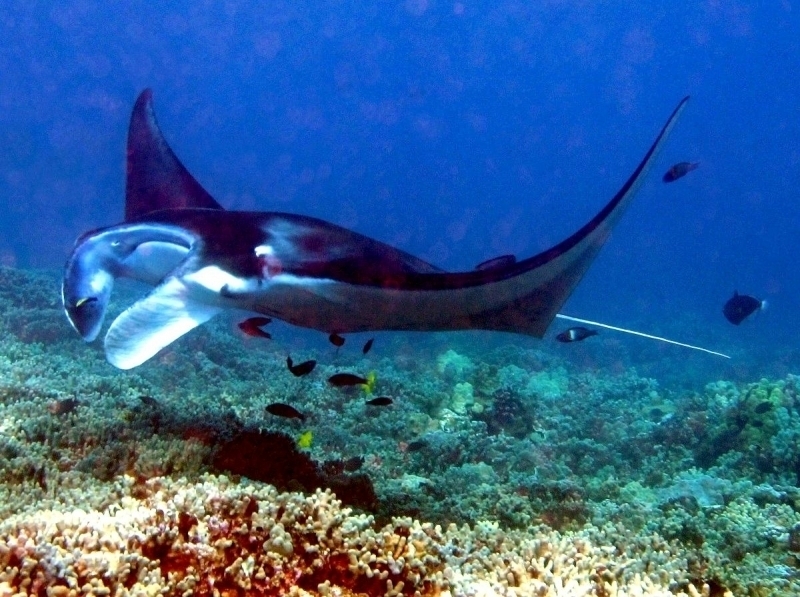 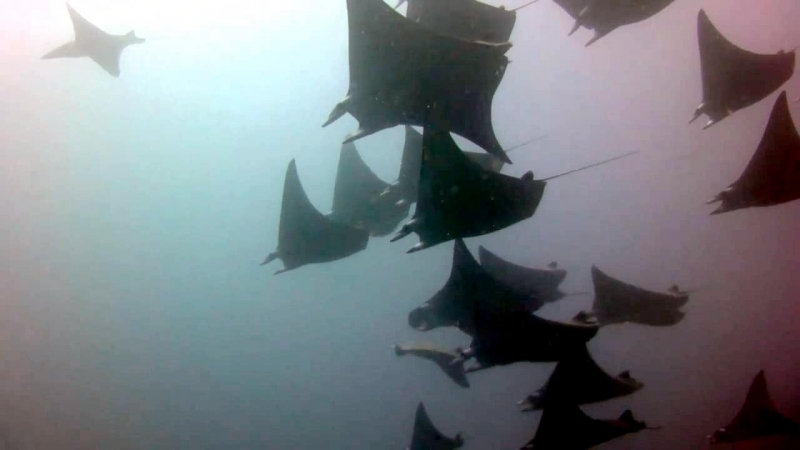 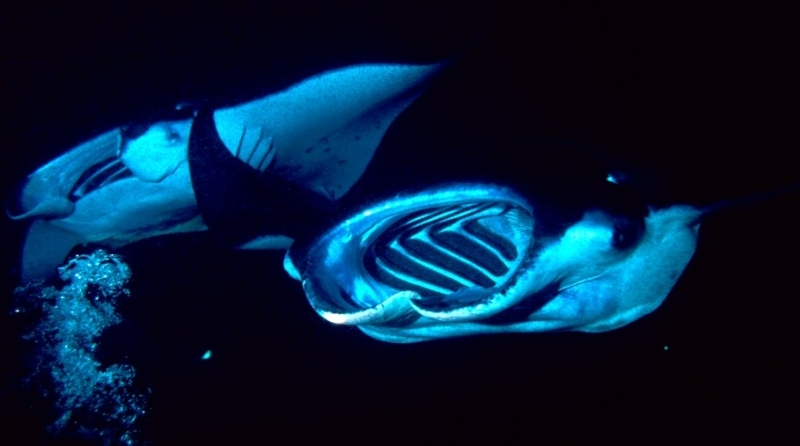 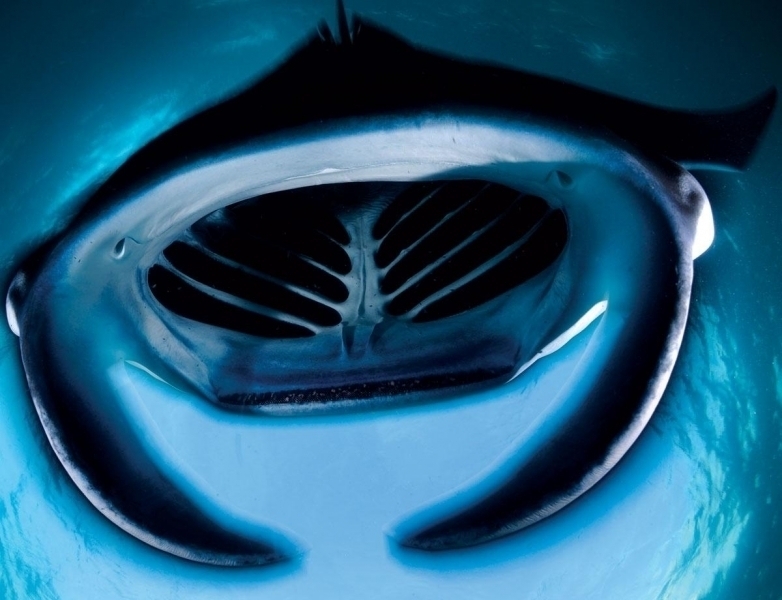 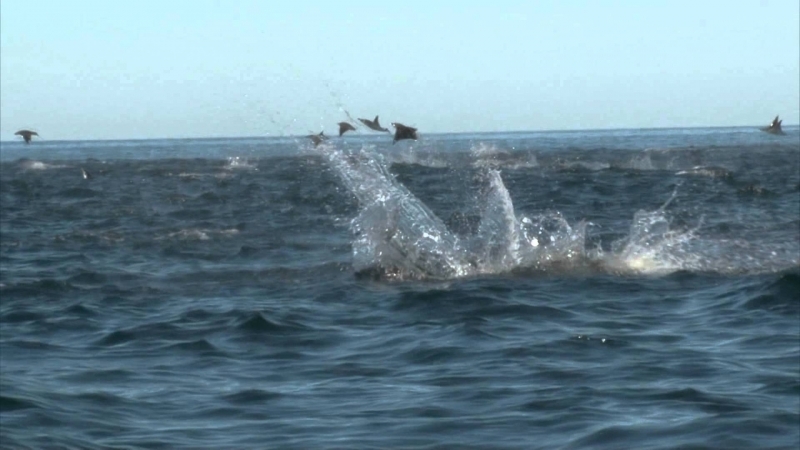 They are generally not interested in eating these smaller fish as they are providing a great service to the Manta Ray. 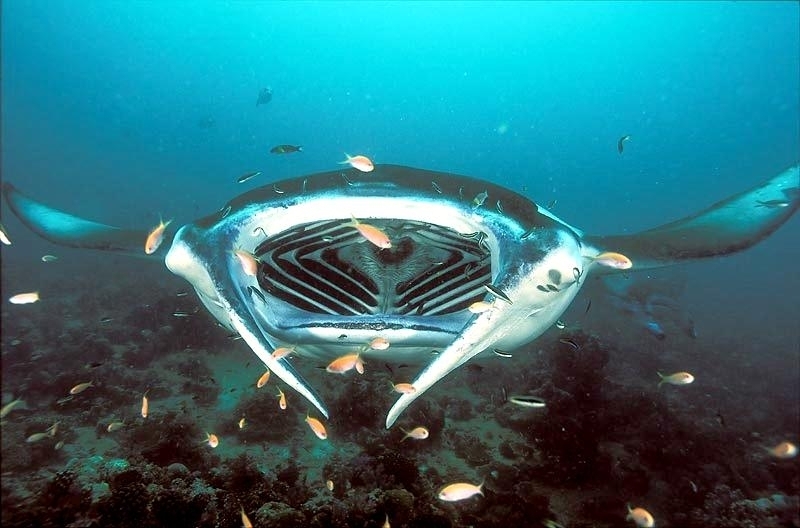 Unlike many sharks, Manta Rays do not actually have teeth and instead sieve the food particles out of the water using rows of tiny plates in their mouths, which they funnel in their mouths as they swim. 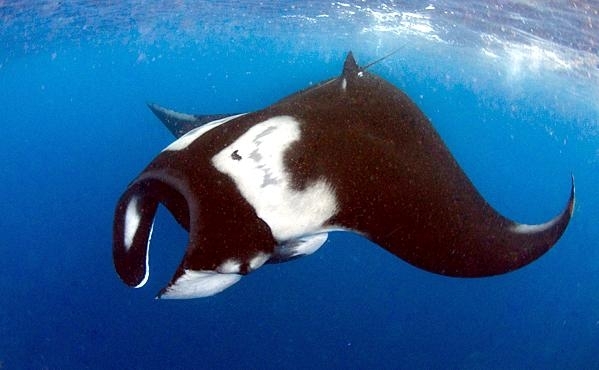 A Manta Ray eats tiny marine organisms including microscopic plankton, small fish and crustaceans. 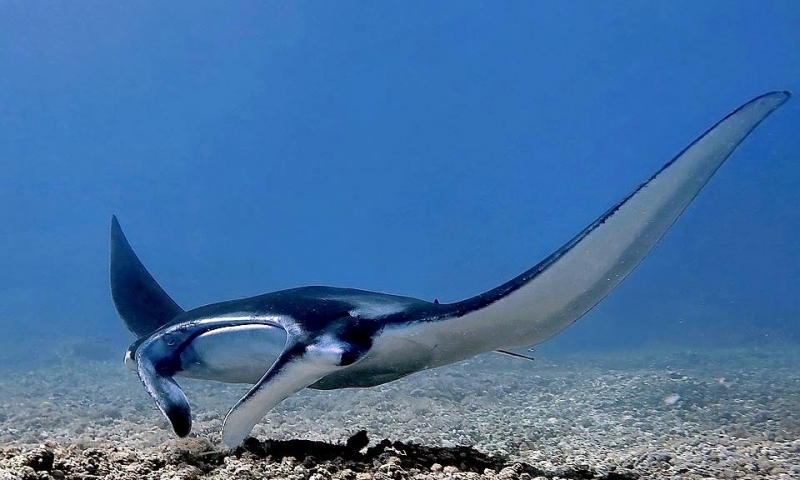 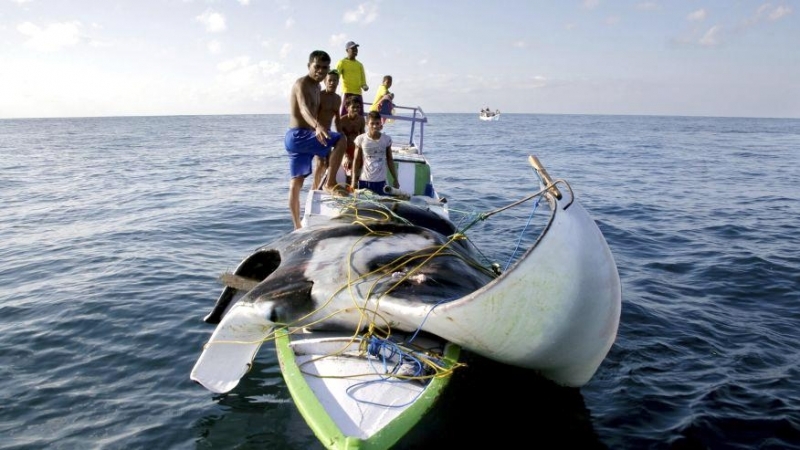 Despite it’s large size, the relatively docile nature of the Manta Ray means that it is actually preyed upon by a number of large marine predators such as the Great White Sharks, Killer Whales and also humans are known to hunt the Manta Ray. 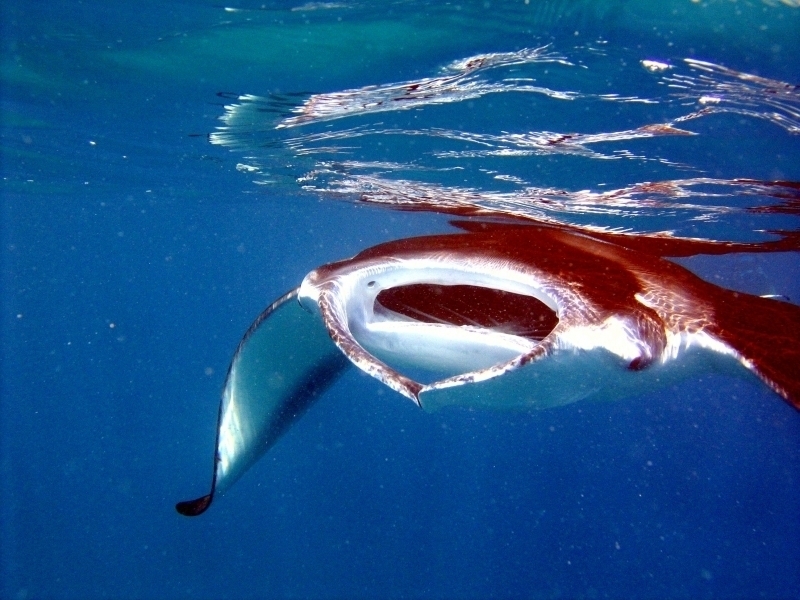 After mating, the female develops a couple of eggs which hatch inside her. 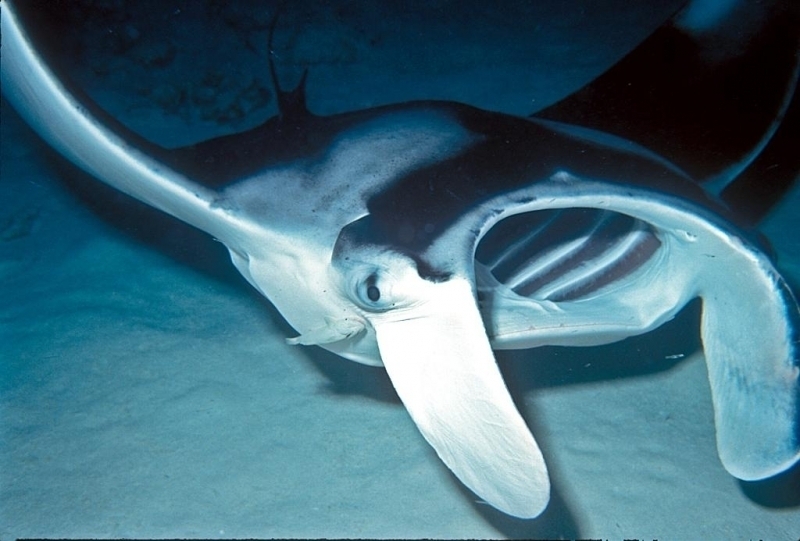 This process is known as aplacental viviparity and is quite commonly seen in the reproduction of a number of shark & ray species. 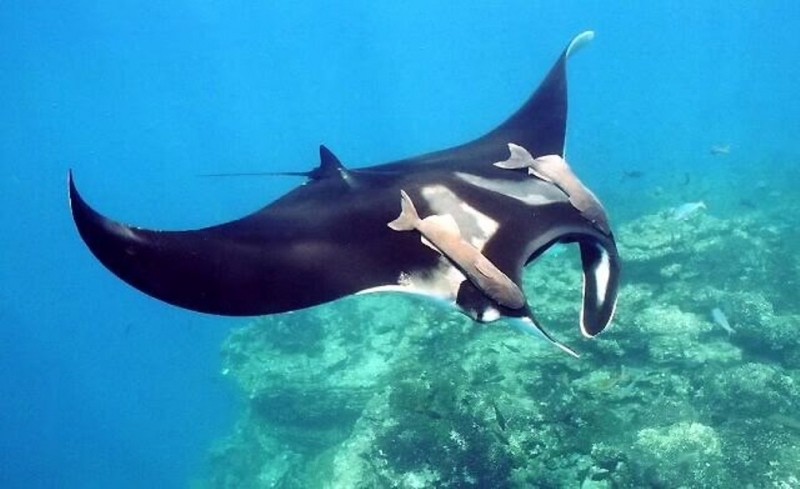 Within 6 weeks of hatching, the female gives birth to 1 or 2 pups, which develop into large adults fairly quickly. 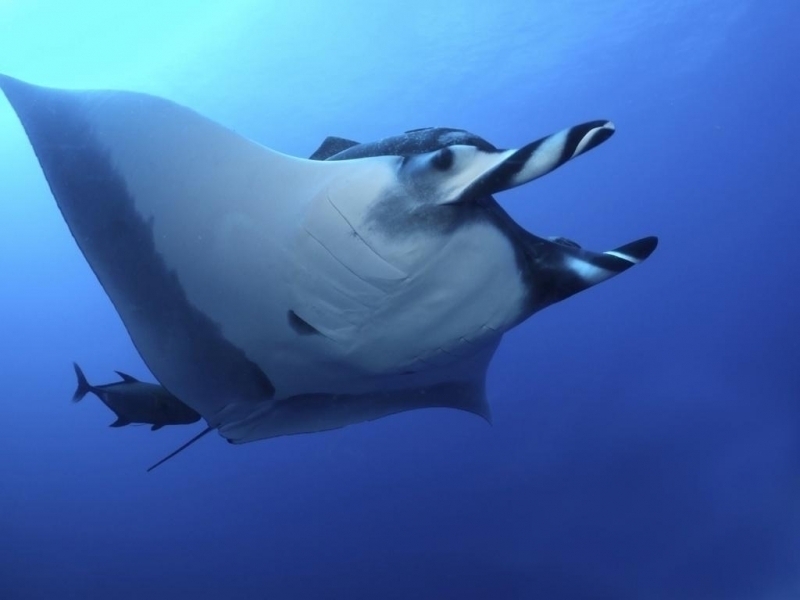 Although the Manta Ray is not considered to be a species that is in imminent danger of extinction in the wild, their population numbers have been declining more quickly in recent years. 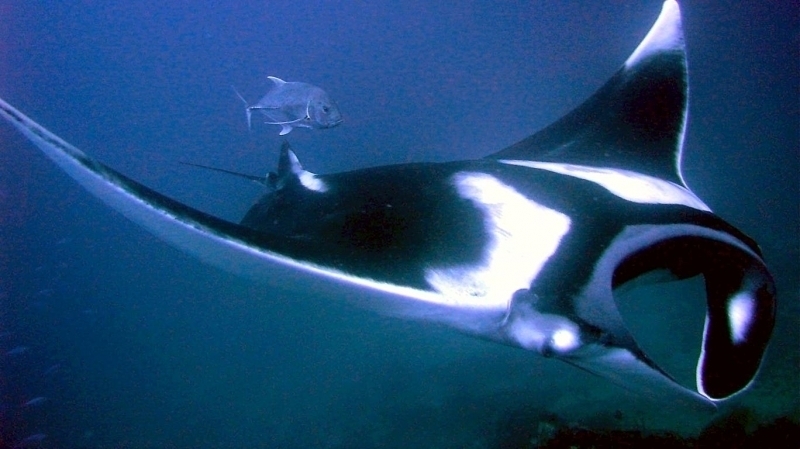 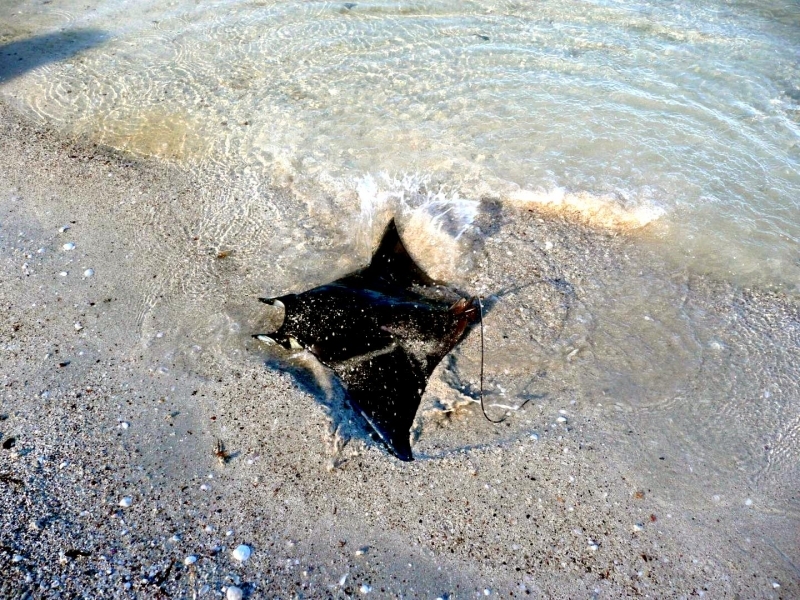 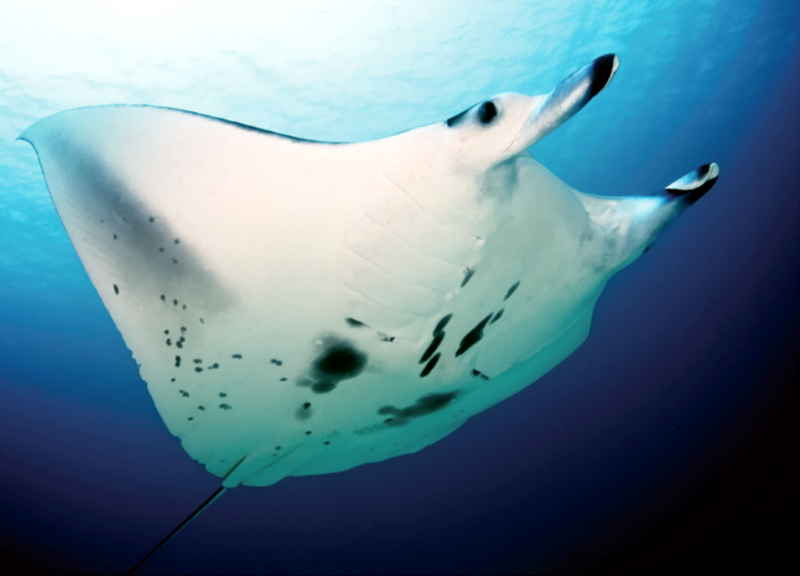 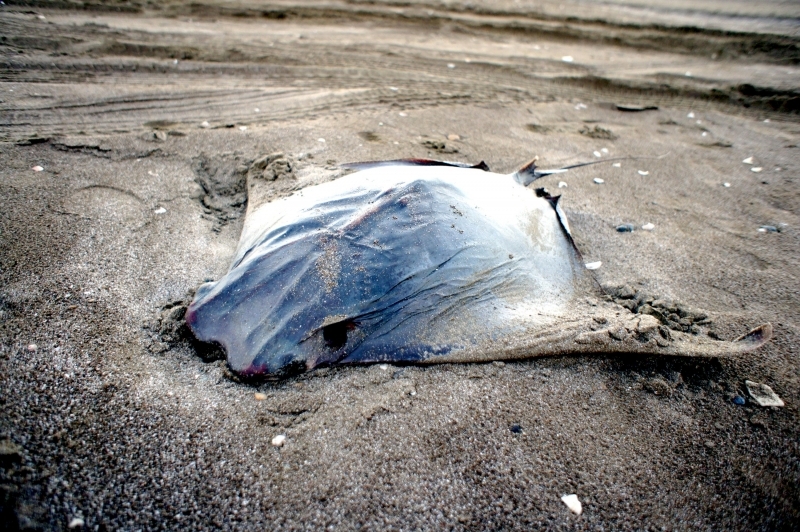 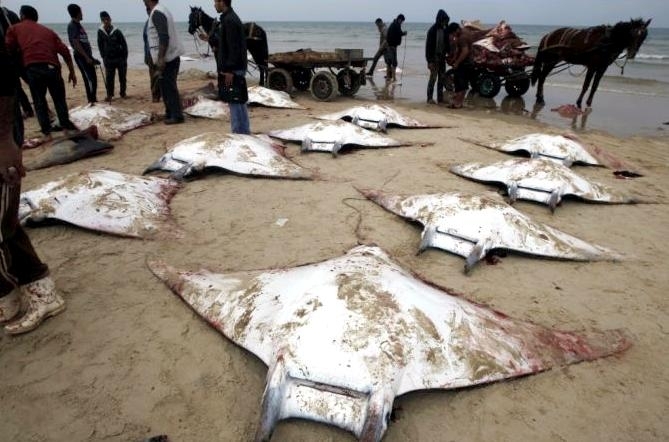 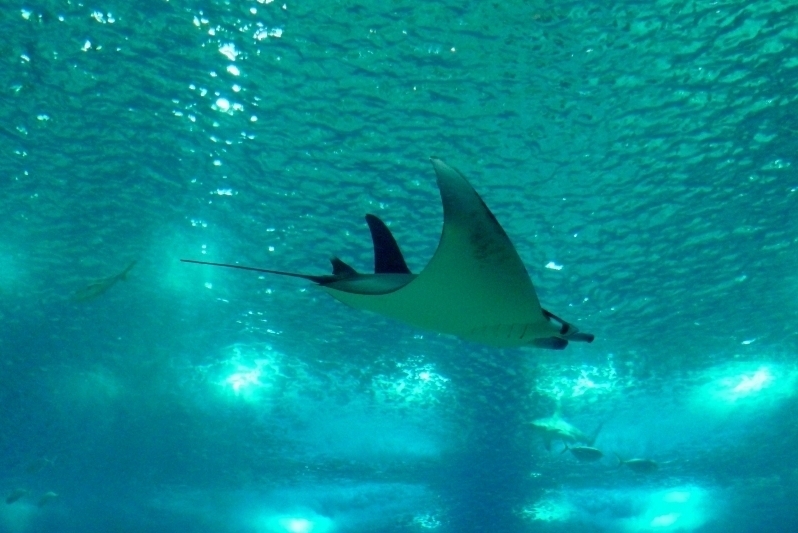 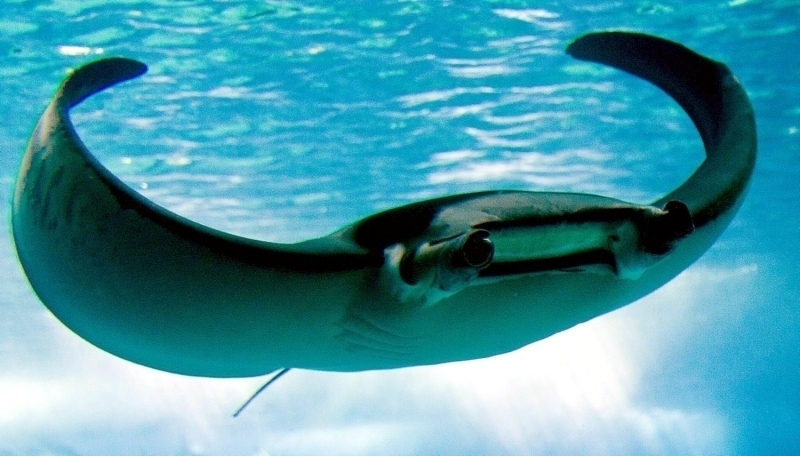 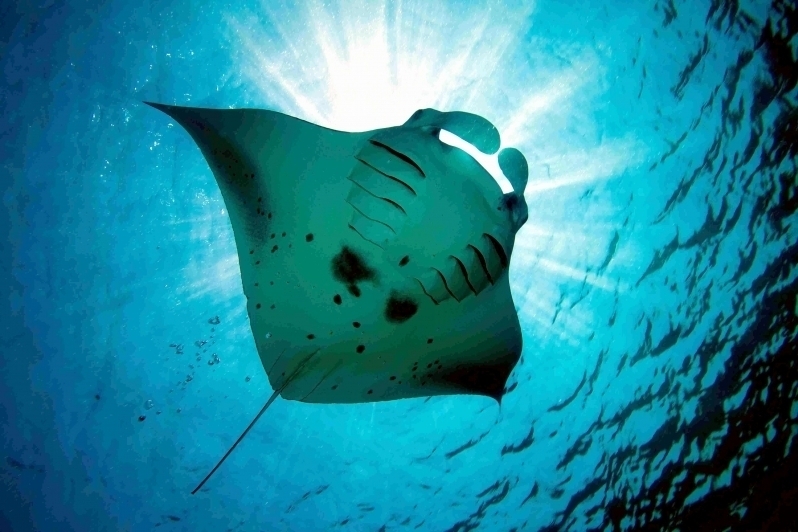 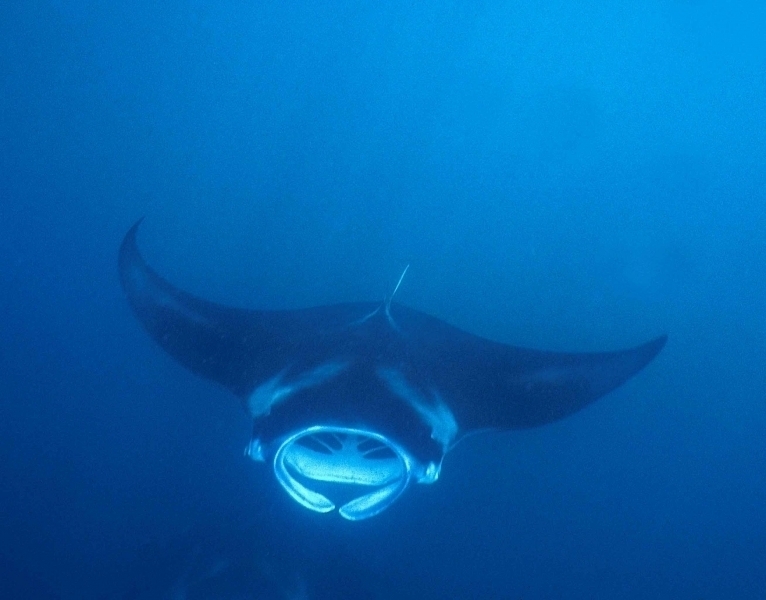 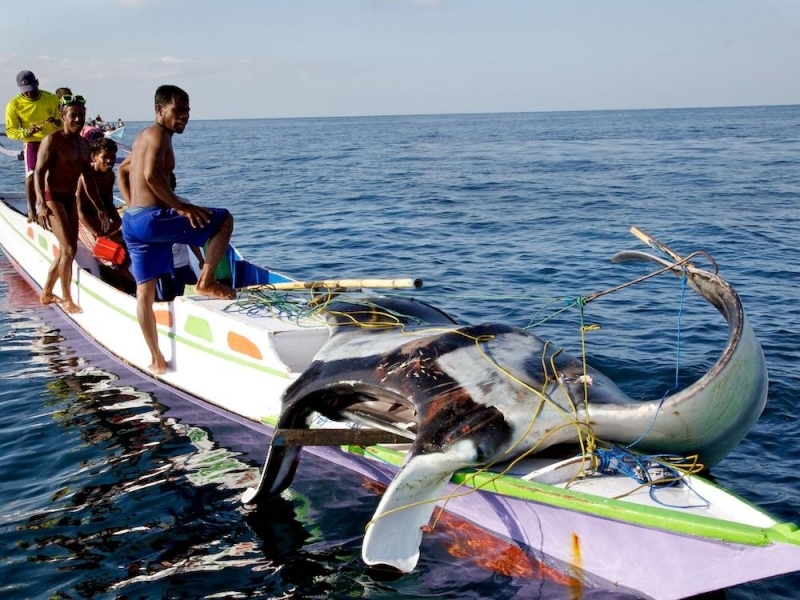 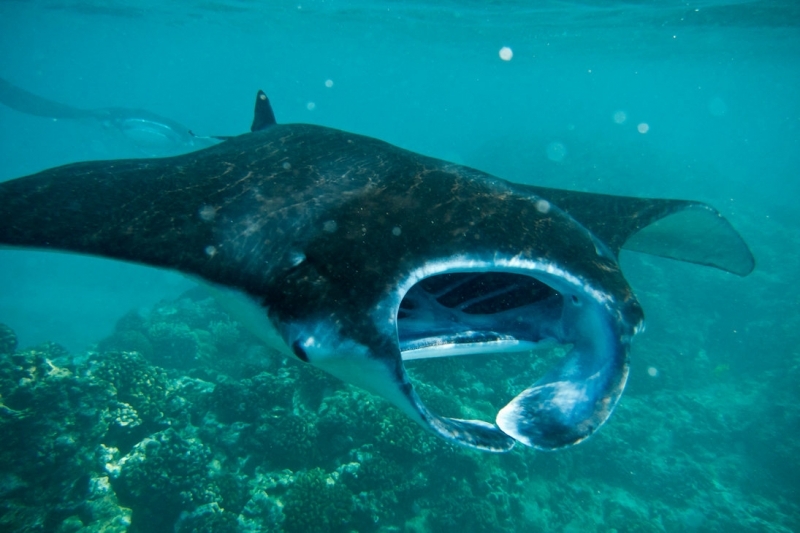 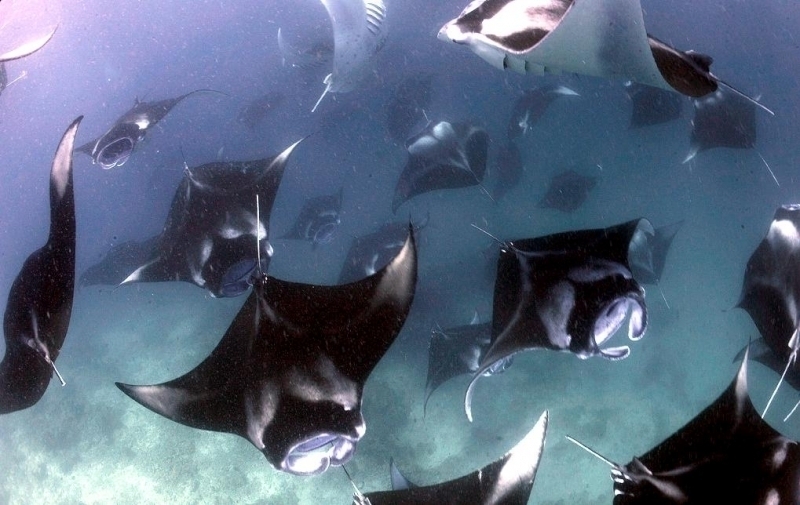 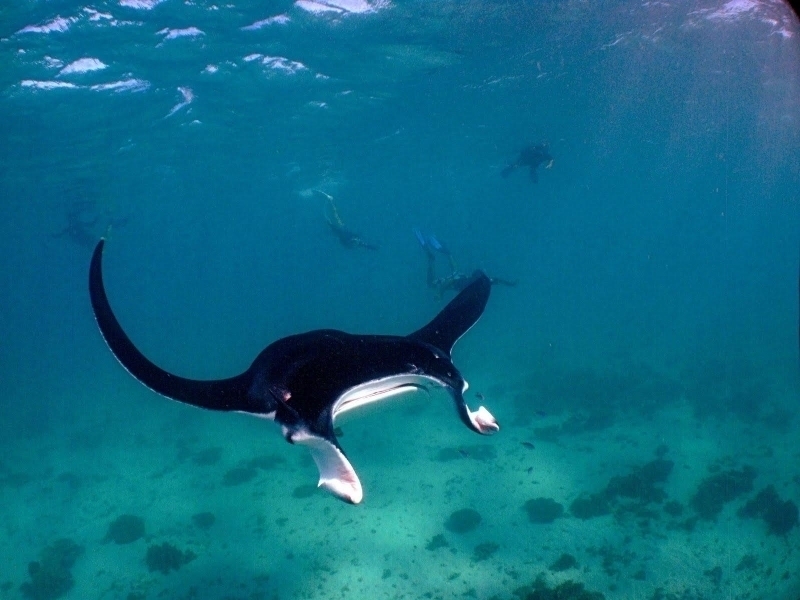 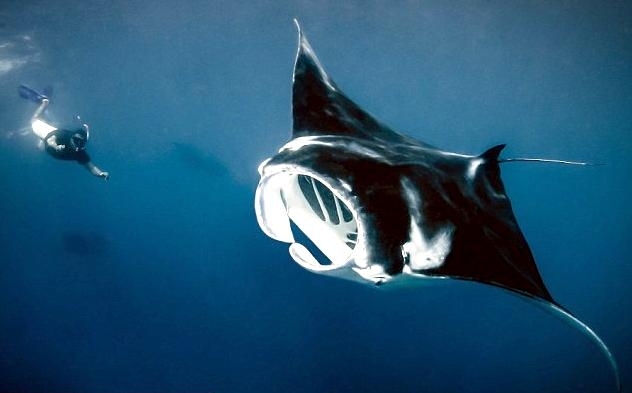 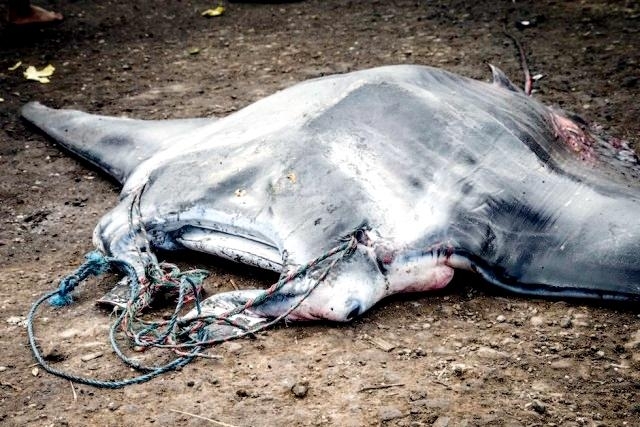 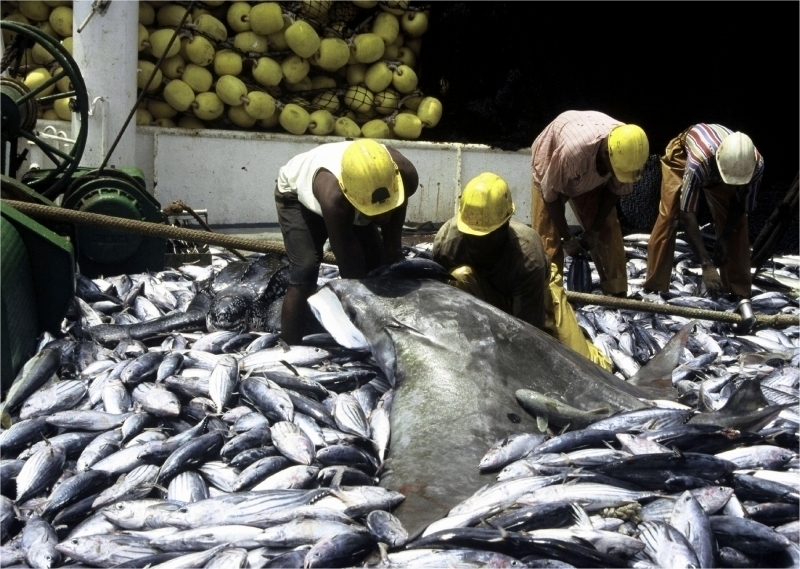 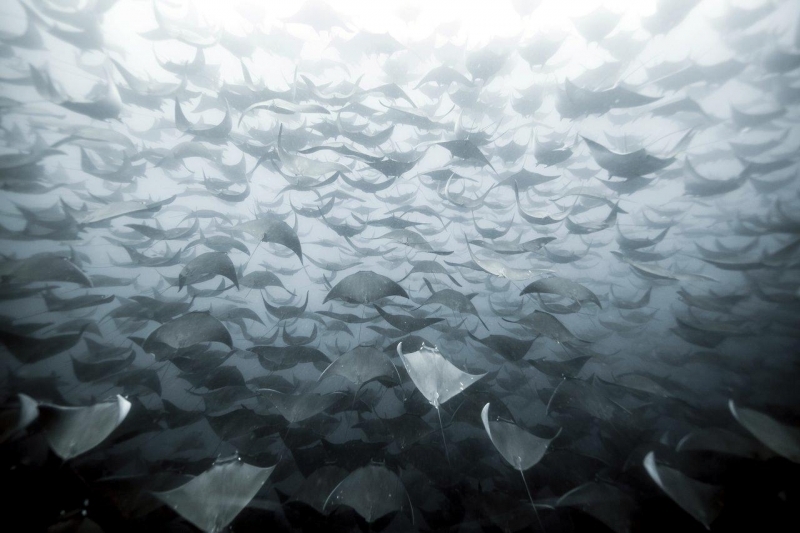 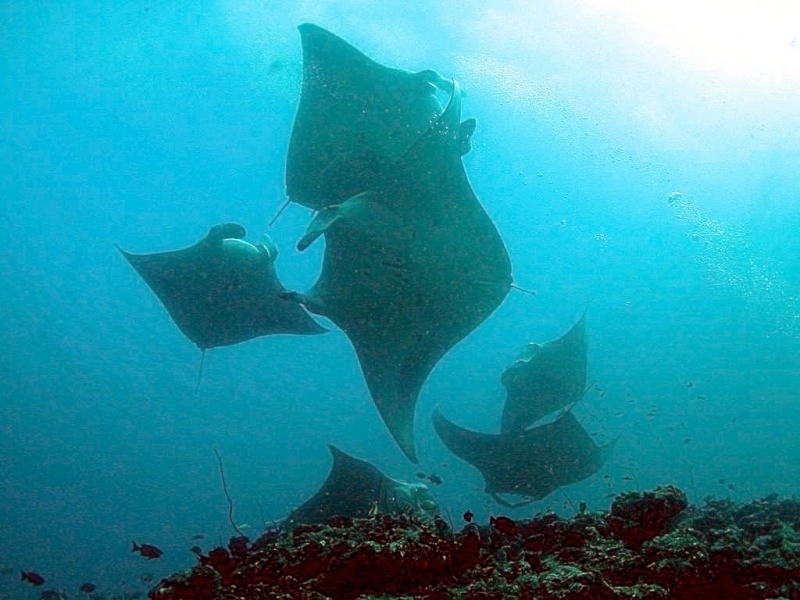 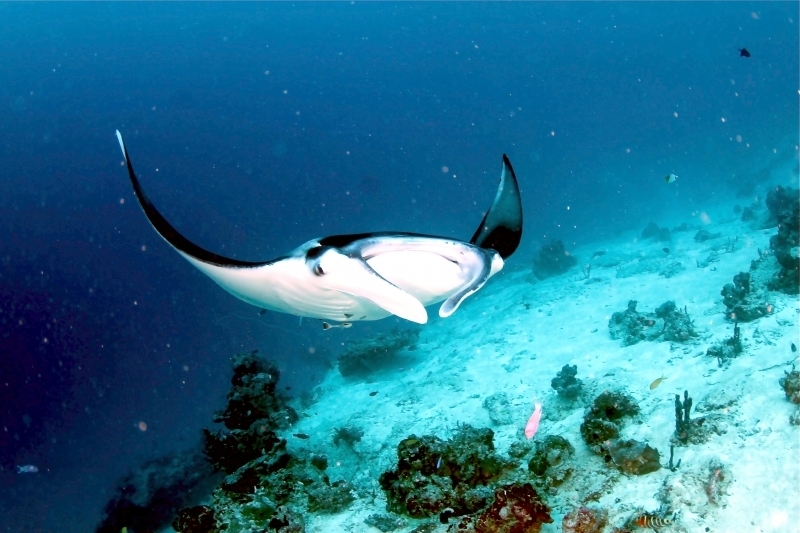 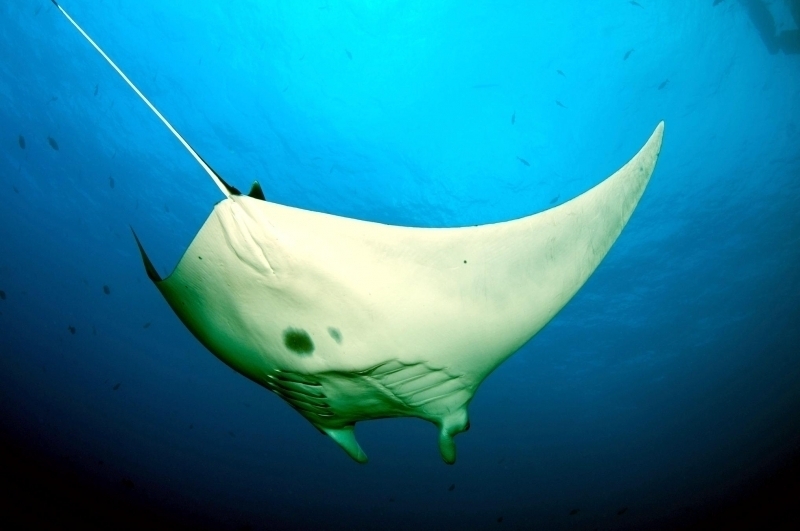 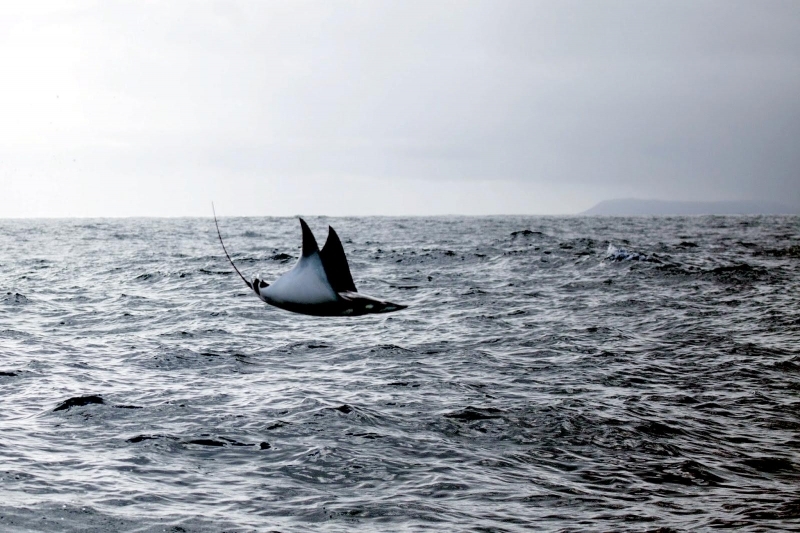 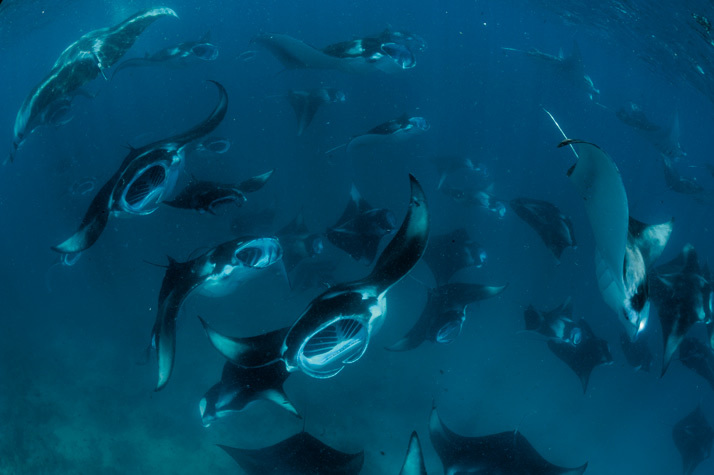 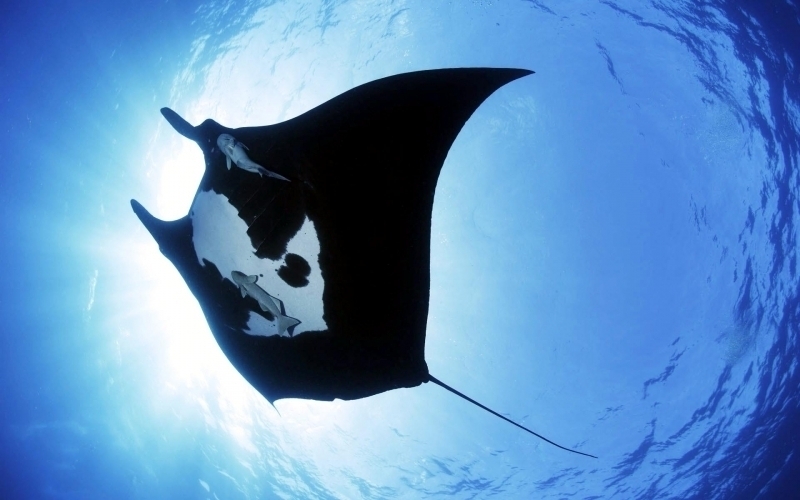 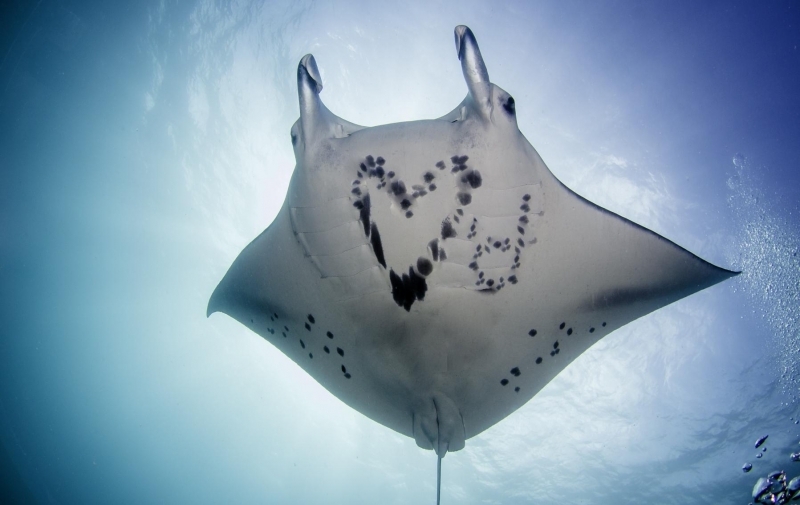 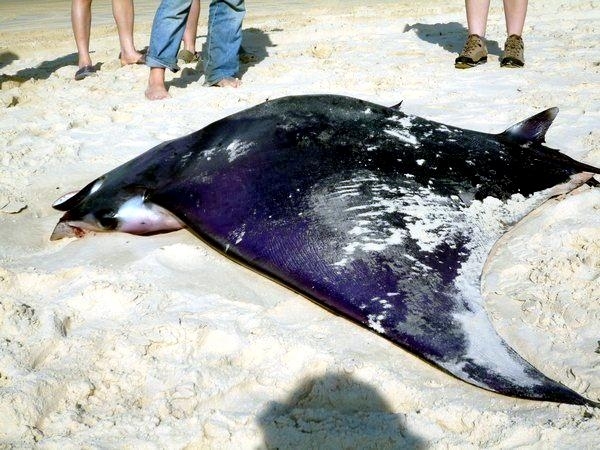 Manta Rays are particularly susceptible to pollution in the water and are quickly affected by over-fishing in certain areas and therefore a lack of food.